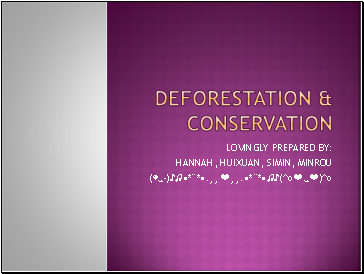 What can we do to reduce deforestation? 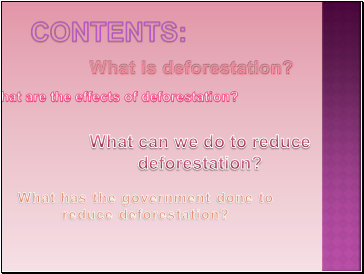 What has the government done to reduce deforestation? About 11000 ago, before Man learnt to cultivate land for growing his own food, a large part of the Earth was covered with forests. Today, six out of ten forests have been cleared, so that they now cover little more than one-fifth of the land on Earth. 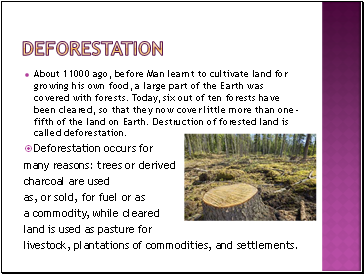 Destruction of forested land is called deforestation. livestock, plantations of commodities, and settlements. 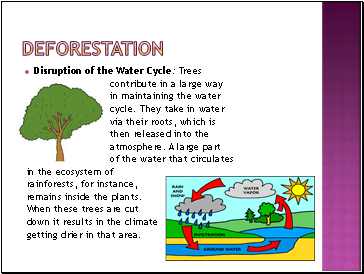 The removal of trees without sufficient reforestation has resulted in damage to habitat, biodiversity loss and aridity. It has adverse impacts on biosequestration of atmospheric carbon dioxide. 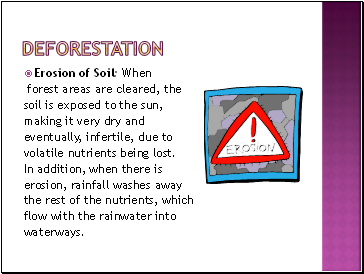 Deforested regions typically incur significant adverse soil erosion and frequently degrade into wasteland. Currently, 12 million hectares of forests are cleared anually. 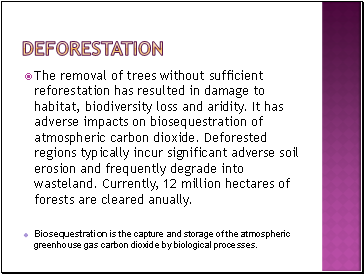 Biosequestration is the capture and storage of the atmospheric greenhouse gas carbon dioxide by biological processes. 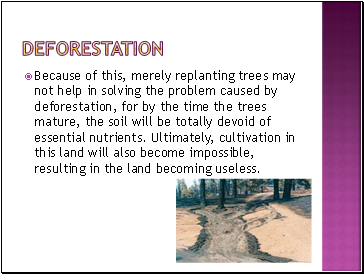 Because of this, merely replanting trees may not help in solving the problem caused by deforestation, for by the time the trees mature, the soil will be totally devoid of essential nutrients. Ultimately, cultivation in this land will also become impossible, resulting in the land becoming useless.